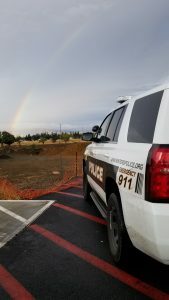 On April 3rd at about 5:00 pm, Officers responded to the parking lot of 121 East Grant Avenue for a report of a stolen vehicle. Officers reviewed video surveillance. The video showed a male steal a white 1992 Nissan Pick-up License Plate 17389D2; which had been left unlocked with the key inside and flee the area. Officers were able to determine the vehicle left by the suspect had been stolen from the City of Antioch with license plates stolen from the City of Williams. 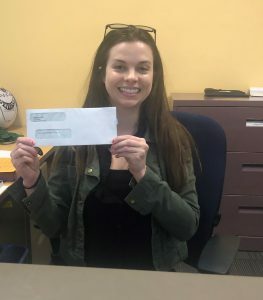 The stolen items were returned to their owners. 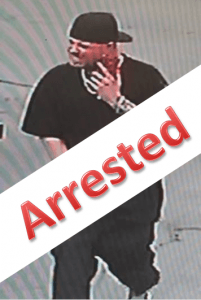 Winters Officers reached out to the Williams Police Department, Antioch Police Department and other bay area agencies to advise them of the situation and share the suspect description. 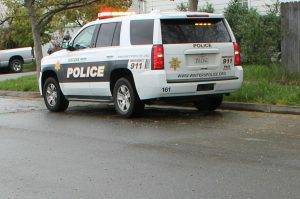 The stolen vehicle was seen in Concord by a Contra Costa Sheriff Office Deputy, who made an enforcement stop. The driver of the vehicle was taken into custody. The driver was identified as Kenneth Hubbs, 41, of Oakley. Hubbs was arrested by the Contra Costa Sheriff Office on charges of vehicle theft, receipt of stolen property, violation of parole, and possession of burglary tools. Hubbs was booked at the Martinez Detention Facility for incarceration. Cases like these are a good reminder for residents to lock their vehicles, make sure all valuables (wallets, purses, and electronics) are removed from the vehicle, and make sure keys are accounted for and secured. The Yolo County Explosive Ordinance Disposal Unit have evaluated the device and have determined it is inert. They will be collecting the device for disposal. This unique situation is a reminder to promptly report to local law enforcement any suspicious devices and never attempt to handle or transport potentially dangerous devices. The Winters Police Department is currently investigating a suspicious device. Due to the nature of the investigation our parking area is temporarily closed. There is no immediate danger to the public. Updates will be posted as they become available. Local conditions can also be tracked by following local emergency jurisdiction social media pages and local news sources. What is the difference between an advisory, a watch, and a warning? Advisories, watches, and warnings can be used to indicate both time frames and the severity of conditions. It is important to familiarize yourself with the various definitions in order to prepare your family for any dangerous conditions that may arise. Advisories or Outlooks: are issued when the potential exists for an event in the next 3-7 days. An Outlook provides information to those who need considerable lead time to prepare for the event, such as public utility staff, emergency managers and public health officials. An advisory is for less serious conditions that cause significant discomfort or inconvenience and, if caution is not taken, could lead to a threat to life. Watches: are issued when conditions are favorable for an event in the next 24 to 72 hours. A Watch is used when the risk of an event has increased but its occurrence and timing is still uncertain. A Watch provides enough lead time so that those who need to prepare can do so, such as cities officials who have event mitigation plans. Warnings: are issued when an event is expected in the next 36 hours. These products are issued when an event is occurring, is imminent, or has a very high probability of occurring. The warning is used for conditions posing a threat to life. Keep a light touch on the brake and gas peddles. Gently decelerate to slow down, especially on turns. Don’t accelerate too hard to avoid fishtailing. During heavy rains, use your windshield wipers and turn on your headlights (don’t forget to turn them off after you park). Black Friday, Small Business Saturday, and Cyber Monday packages are starting to arrive meaning the season for package thieves is here. As you’re making online purchases over the next few weeks, follow these tips to avoid becoming the victim of package theft. Think you see a package thief? Note their description as best you can and all our dispatch number at 530-795-4561. Stay Safe and may all your shipping be free. 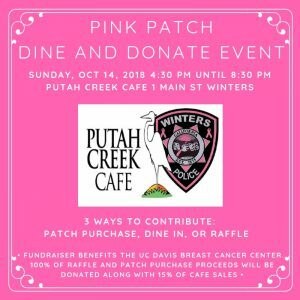 The Winters Police Department and Putah Creek Café have partnered for a Pink Patch Project Dine and Donate Fundraiser. Held on October 14th from 4:30 pm to 8:30 pm at the Putah Creek Café (1 Main Street) Pink Patches and Raffle tickets will be available for purchase while diners enjoy the delicious menu offerings of the restaurant. 100% of the proceeds from patch and raffle ticket sales along with 15% of Café sales will go directly to this year’s Pink Patch beneficiary, the UC Davis Breast Cancer Center. The Center offers imaging, prevention strategies, genetic counseling, risk assessment, and specialty physician patient care to women. The Pink Patch Program started with southern California public safety agencies as a collaborative public awareness campaign designed to bring attention to the fight against breast cancer. The program centers on pink versions of the Public Safety Officer’s uniform patch. The project goal is to raise funds from the sale of pink patches to go directly to fund the research, treatment and education needed to help find a cure and to support breast cancer research organizations in combating this devastating disease. The pink patches are intended to stimulate conversation with the community and to encourage public awareness about the importance of early detection and the on-going fight against this disease. You can purchase a Pink Patch for $10 by visiting the Putah Creek Café or the Winters Police Department. Orders are also accepted by mail at Winters Police Department Pink Patch Project 702 Main St Winters, CA 95694 (please remember to include a self-addressed stamped envelope to receive your patch).